Planning and flying advice for anybody going on a cycle tour. Some useful advice and tips ranging from the basic planning of a trip to packing and flying with a bike. Flying with a bike can be a nerve-wracking experience! I remember the first flight I took with the bike it was a harrowing experience! Would my bike get damaged in fact would it even arrive! 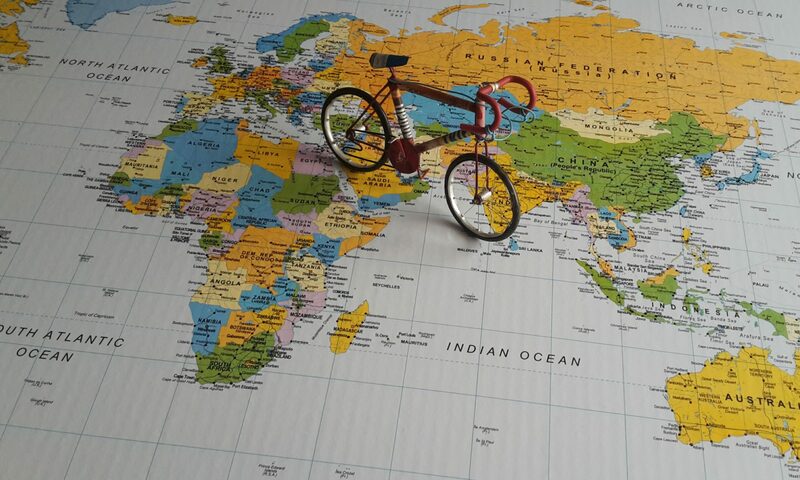 I’d been cycle touring for nearly four years, and I’d always avoided going anywhere that involved taking a plane, but now I was planning to cycle around the world, and I knew that this would require a few flights! Now that I knew I was going to have to fly I decided that I needed to try it out on a smaller trip within Europe, so at least I would have had some experience of taking my bike on a plane. Plus it was a good excuse to go away! 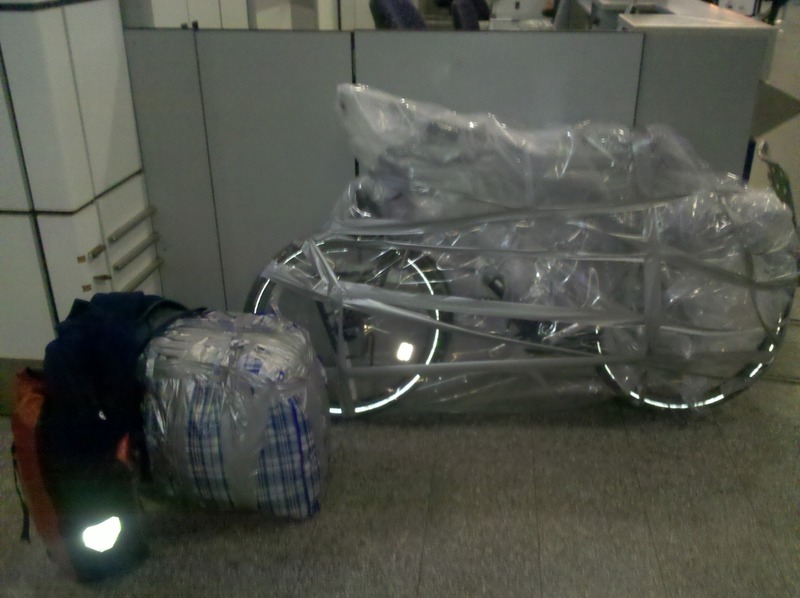 I’d done my homework and found out that British Airways allowed you to put the bike in a giant plastic bag, so there was no need to dismantle anything. The only thing I had to do was to take the pedals off and turn the handlebars! Perfect for a first flight I thought, thinking that the ground crew would see that it’s a bike and be a bit more careful, as opposed to it being packed up in a box which might get thrown around! 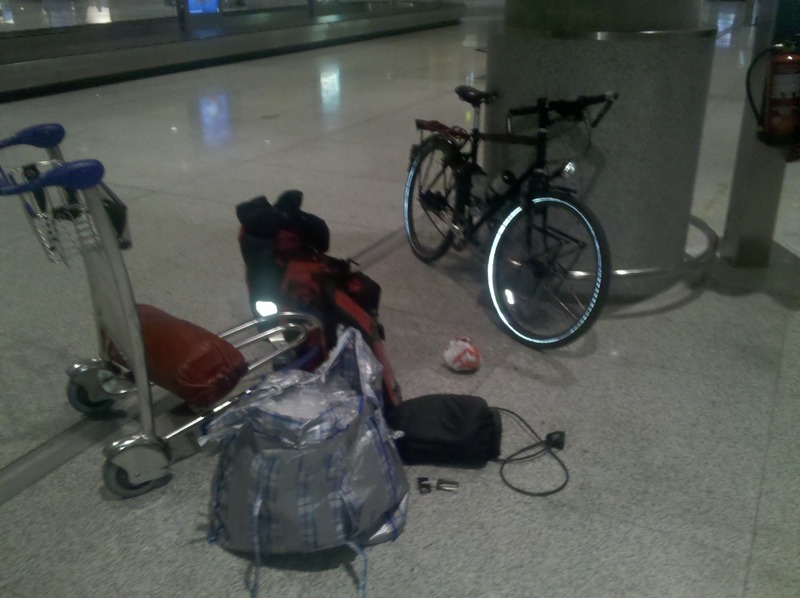 The bonus of putting the bike in a bag was that I could cycle to the airport and pack it away there. All my worrying was completely unfounded, and my bike arrived at the airport in Spain without a scratch on it! Since that first flight, I’ve flown many times, although I still get a little nervous before check-in, although once my bikes checked in I relax. How to pack the bike away. After sourcing a box from a local cycle shop, usually, they’re more than happy to supply you with one for a small fee, Although sometimes they’re just glad to get rid of them and will give you one for nothing. While at the shop getting the box I also get them to crack the pedals (loosen them). Pedals can be quite hard to undo particularly if it’s been a long tour so getting the shop to loosen them with a pedal wrench is the easiest option. As explained in my previous post “Planning A Bicycle Tour” subheading at the end of a tour I find a quiet spot at the hotel. 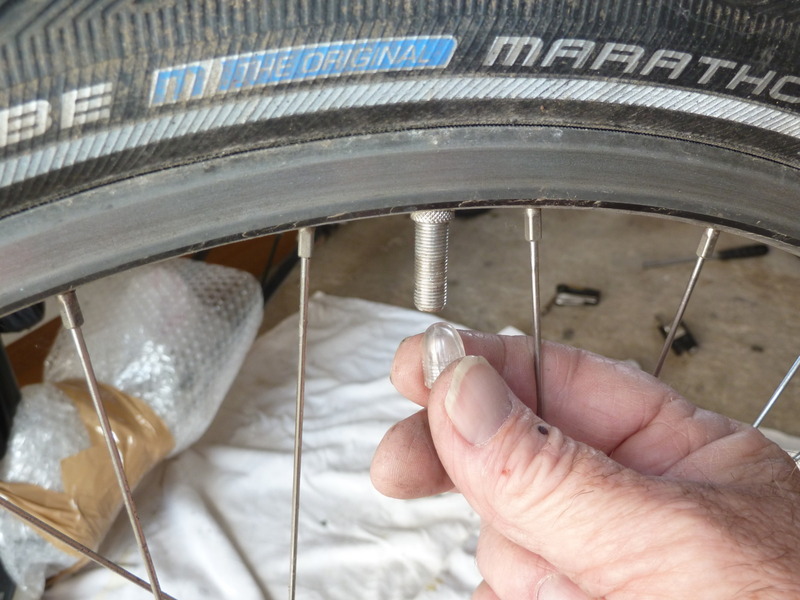 Next to get removed are the wheels and deflate the tyres a bit as they expand while in flight. It is also a requirement on some flights. After removing the wheels, I’ve got some plastic tubes which I decided were needed when I packed my bike away for the first time in Istanbul. 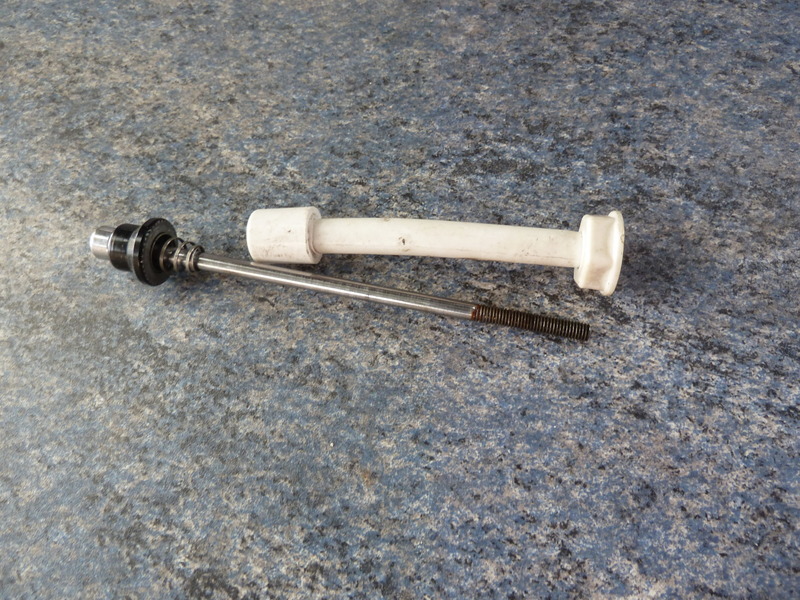 (They sit in my tool bag permanently now) The wheel axles are put through the tubes and then put back on the bike just as a bit of added protection against the forks getting squashed. 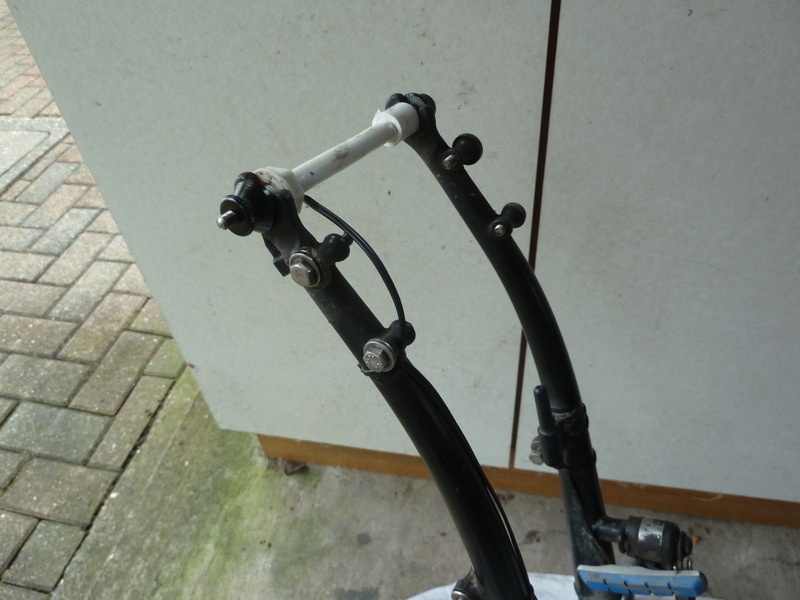 The racks and mudguards are the next parts to be removed. 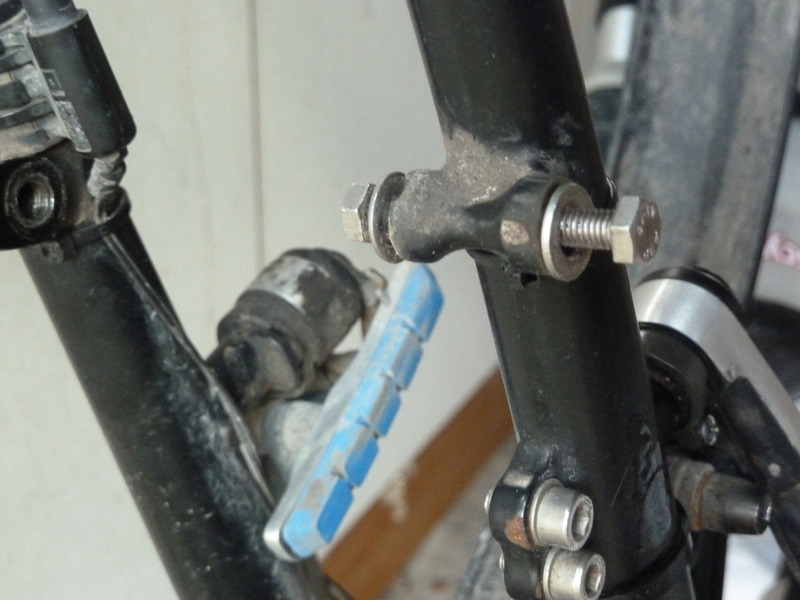 After I’ve removed something I always replace the bolt back into the hole it came from, that way when it comes to reassembling the bike you know where everything is and you don’t lose any! I don’t bother removing the chain I just put it in a plastic bag and tape it to the frame, making sure that I don’t put the tape on the frame. 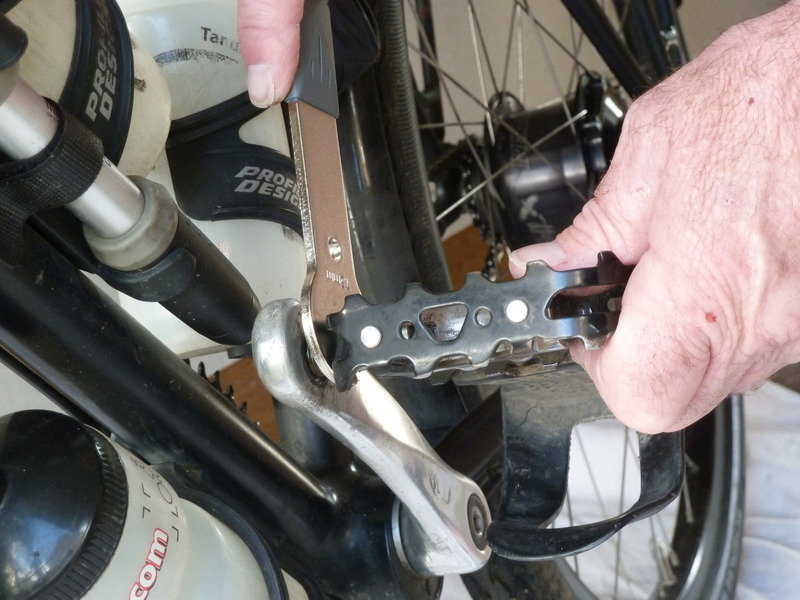 Once the bike has been stripped down, I always put extra padding on the forks, chain ring and rear forks for extra protection. I also wrap all the parts that I’ve taken off in bubble wrap. That way they’re not all knocking against each other when in the box. Next, the bikes turned up the right way, and the saddle lowered. 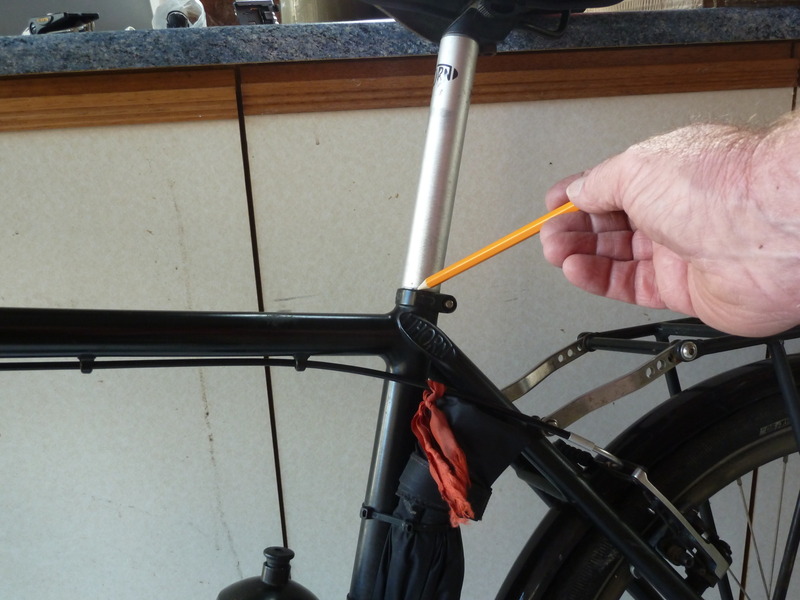 Just before dropping I draw a pencil mark on the stem, so I know what height to put it back at when I reassemble. 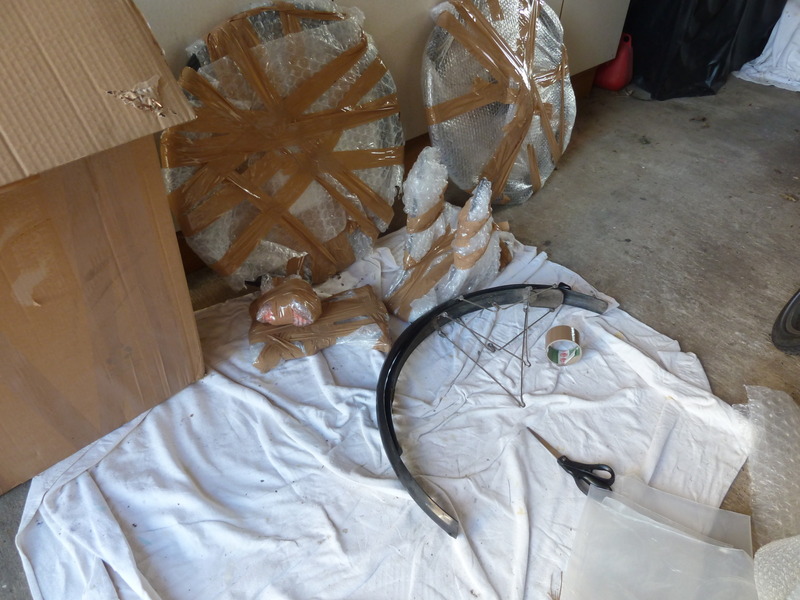 Finally, I turn he handlebars, and everything gets placed in the box and securely taped up. Reassembling is a reverse of the above. 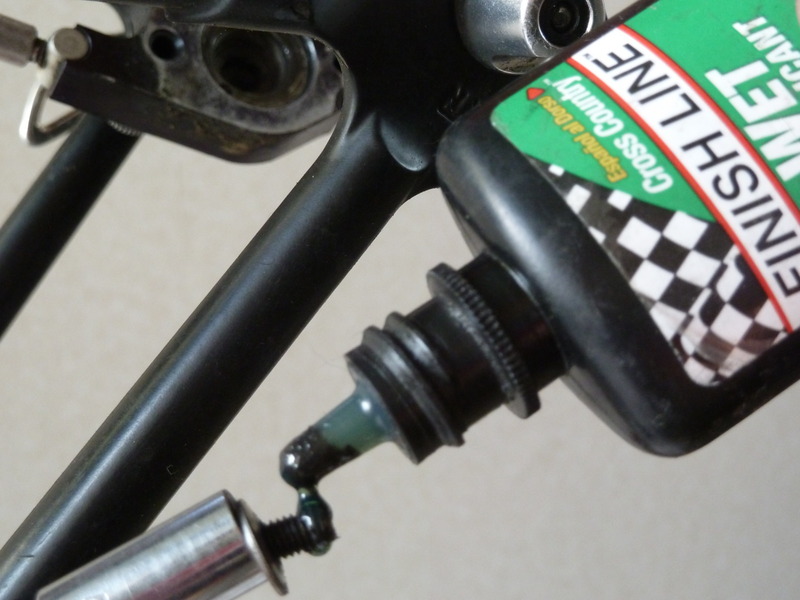 When reassembling the bike it’s a good idea to put a small amount of oil on each bolt. 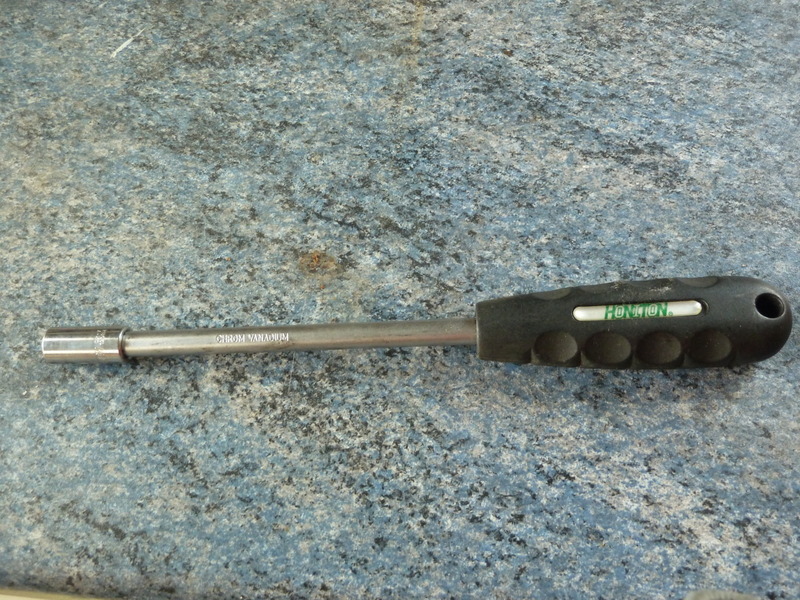 As this aids in the dismantling the next time you fly and helps avoid any bolts becoming seised. The one question I get asked the most is how I plan one of my cycle tours, so I thought I’d explain. The truth is I don’t! All I do is look at a map of the country I want to tour. See if there’s a road going where I want to go. Work out roughly what distance I’ll be travelling, which in the old days used to entail a piece of string and a map! But these days things are a lot easier, and I use Google maps. Once I’ve worked out the mileage I just divide that by 80 which is the distance, I like to cover each day and just go! Although that’s not strictly true if it’s a big tour involving several countries, I do put in a bit more time and effort in then! But if it’s just the one country or I’m travelling in Europe it is just a case of looking at a map, see how long I’ll be away for and go! On a tour that involves several countries, apart from checking the mileage I always check on visa requirements. Whether it’s a visa on entry (where you obtain the visa at the border) or if it isn’t then what city do you need to pick one up from or maybe even get it before leaving home. Although the last option isn’t a bad idea, it’s sometimes easier to obtain a visa from the country that borders the country you intend to travel in as they usually have better diplomatic ties and they’re a lot more accommodating. For example, when I applied for my visa to Kazakhstan while in England the maximum length of stay they would give me was 30 days, when I applied for the same visa in Azerbaijan the consulate there was a lot more helpful and just asked me how long I wanted one month, two months or three! Another good point I always check is the entry and exit towns for a county, as not all borders are open to tourists. I couldn’t think of anything more annoying than to have spent a week or two cycling across a country only to find that you couldn’t cross the border at a particular point! I also like to check either on route or before leaving home what the local currency is and make a note of the exchange rate. Just so I can exchange any money, I may have left from one country into the following countries currency at the border with the touts that you inevitably find at most borders, then at least I know how much I’m being ripped off by! It also helps when turning up late in a country and need to find accommodation; again I’ll know what I’m paying and whether or not it’s a rip off! I also always try and set off from home with all the maps I need or at least one per country, which covers the entire country just in case I can’t find any on-route. Which because I tend to cover big distances is usually sufficient enough. The maps I prefer to use on a big tour covering several countries are the Michelin national ones which are red or the Michelin regional maps which are orange if it’s just one or two countries, I’m touring. Another good set of maps I’ve found are the German Reise range I also find them clear and easy to follow. None of the maps I use shows any contours of the land, but then I like that as I never know what the road ahead is going to be like, to me everything is flat! I’ve found from experience that if I know that there’s a particularly hilly part or it’s a big climb I’m approaching all I’m doing on the roads leading up to it is thinking about how steep it might be! Or how long it’s going to take me to get over and not enjoying the ride leading up to it, so by not knowing it’s always a big surprise whenever I come across some mountains or a steep climb! Sometimes you can tell on the maps when it’s going to be hilly particularly the Michelin maps! The roads shaded with green signifying a scenic route which normally equates to it being hilly! The higher passes also get marked, but then I try and ignore them and pretend that I didn’t see them on the map! Accommodation or any stops never get planned or pre-booked I never know where I’ll end up from one night to the next! Why waste time trying to find accommodation in advance, you may not reach that place, you may decide to stop early, or you may find another route that you want to explore. And when I do arrive somewhere I tend to stop at the first place I find. Usually, I like to camp as it keeps costs down and means that I can stay away for longer! But if there’s no campsite around (I don’t wild camp anymore not unless I have to) I’ll stop at the first available hotel, Inn, guest house, hostel or whatever is available! The exception to the rule is when I fly into a country then I do have a hotel pre-booked it saves a lot of aggravation trying to find somewhere after a long flight. It also means that I can reassemble my bike without too much aggravation, either in my room or somewhere in the grounds. When coming towards the end of a trip and I’ve got a flight to catch I usually check out a cities hotels before getting there. I still don’t pre book anything I just like to have a rough idea of a good western style hotel that I can head for. Most of the staff speak good English and can be very helpful at making calls to shops or pointing you in the right direction when sourcing materials to pack away the bike and panniers. When packing away for a flight I always get a big bag to put my panniers in, usually one of the big chequered type that is available in most countries. Their cheap and light, so they don’t add any extra weight, the chances are that your probably close to the weight limit as it is! The bags are not particularly strong, but you only want it to last the one flight or if you’re not too sure whether it will last the trip or not get it wrapped in cellophane at the airport. 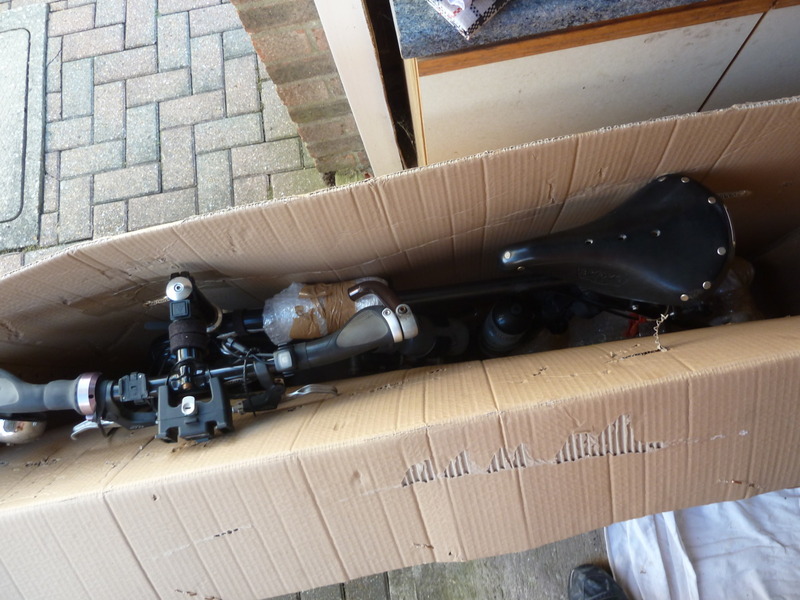 A box for the bike is normally fairly easy to obtain from any bicycle shop. Usually, they’re grateful to give it to you for free as it saves them having to dispose of it! Although that’s not always the case, when I was trying to find one in Istanbul they wouldn’t give me one unless I paid for it and as for China, nobody would give me one for love nor money! If I’m going away on a trip that I know will involve flight I always weigh my bags at home. Then when it comes to packing them away, I’ve got a rough idea of what everything weighs and can then distribute things around to avoid paying any excess fees for being overweight! 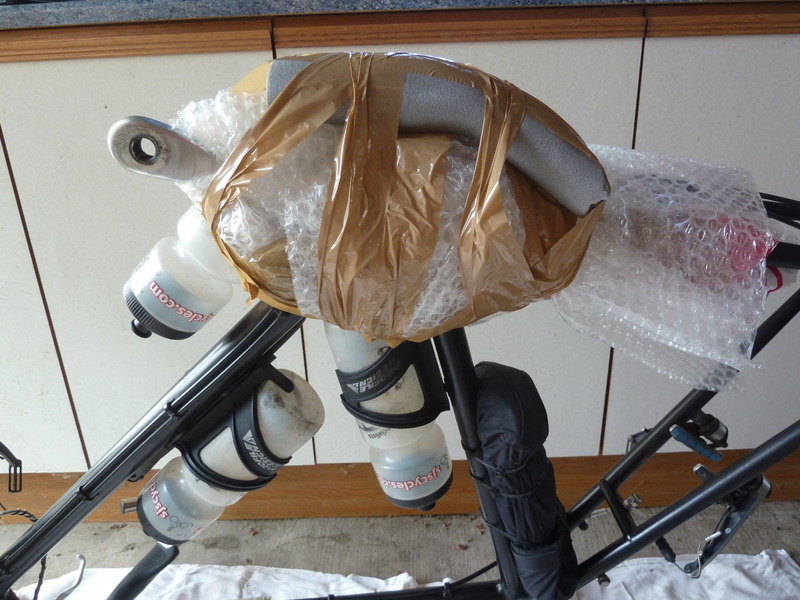 After sourcing a bag and box, I firstly dismantle the bike (again I weighed that at home, so I know what it weighs). I then get rid of any excess weight! I’m always amazed at the end of a tour how much extra weight I end up carrying! Catching a flight for me is always a good thing as that’s normally the only time I clear out my bags completely! If a tour doesn’t involve a flight home, all I do on my return is to simply take off the panniers and store them all loaded up ready for my next tour, except the panniers that contain my sleeping bag, clothes and toiletries of course! On a recent flight when I cleared out my bags I found that I’d accumulated six puncture repair kits and three loo rolls! After losing the excess weight, I then proceed to pack my panniers into the bag. Usually, I manage to pack my tent, two front panniers and one of my rear panniers into the bag. Although sometimes I put the odd item into the bike box if I’m struggling to fit everything in the bag or I’m worried about weight. My last pannier is carried on as hand luggage normally with some of the heavier items in it. Then once at the airport all I do is check the chequered bag in as hold luggage, the bike as sports equipment or oversize baggage and my last pannier is carried on as hand luggage.